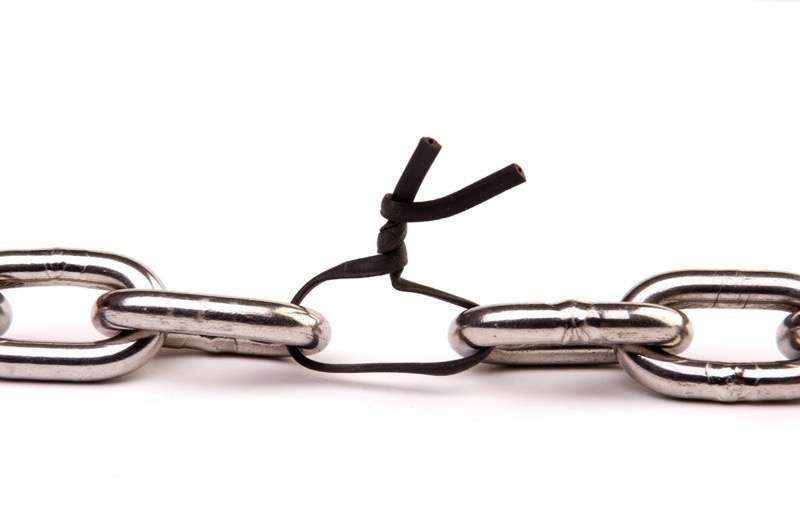 Should You Sharpen Strengths or Reinforce Weaknesses? If you want to improve as a guitar player, focus on improving your weaknesses. But to sell yourself to others, emphasize your strengths. The bell curve of skill acquisition is a visual representation that compares the time spent learning, the amount learned, and the benefit of what was learned. Since it’s very difficult to provide specific examples when it comes to learning the guitar, we’ll make a comparison using the example of learning to speak Chinese. The data used is real, and comes from official Chinese-language proficiency tests administered to foreigners coming to China. Language learning works in a way very similar to learning guitar, and the examples provided here will help illustrate. Description ElementaryCan formulate basic sentences, but cannot understand spoken word. Can express daily needs, but with no hope of conversation. BasicWider range of simple expressions; begins to understand pronunciation, but can only understand a few words of the average sentence. IntermediateRudimentary competence. Can now have painfully simple conversations about shallow topics. Intermediate+Can have broader conversations using some “circumlocution” (describing the missing word with other words until its meaning is understood; for instance, instead of “apple” you can say “the red fruit”) FunctionalFunctional. Can understand general points of written articles, participate in conversations, follow along with the general plot of a movie. AdvancedFluent. Can read and write, converse with fluency, and participate in group discussions. Still not functioning at a native level. *Estimate based on previous performance. The cost of attaining a new level of proficiency is roughly equal to that total amount of time already spent achieving the current level; at each level of proficiency, the required effort to advance to a new level doubles. Let’s imagine there is a level 7. Once you’ve spent 32 months reaching level 6, you would have to spend another 32 to reach the next level of proficiency. That’s because you’re climbing up a curve of diminishing returns. You’ve learned all of the most important words and grammar. Now you’re learning obscure literary words, formal language, technical terms, and other things that are of little use to most people. And even if your language skill is very important to you, you are still learning vocabulary that you will need relatively infrequently. The word “talking” is one that we use many times per day, but maybe the word “converse” is used less, though still more frequently than the word “arbitration” which many of us never use at all. Finally, very few of us ever have need to use the word “interlocution”. Although the cost of learning the skill climbs a logarithmic scale (each point is twice as far as the previous point), the benefit of achieving each new level of ability does not at all. In fact, the relative benefits of reaching the next level decline with each level attained. By the time you’ve reached Level 2, you can use the language to handle most situations and transactions you would encounter while visiting China. By the time you reach Level 6, you have perhaps earned 80% or more of the benefits of learning Chinese, and yet you would have to double your total lifetime study time to reach a higher level which still may only be 85%. The same thing applies for learning Chinese characters. Since some of them are far more common than others, the biggest benefit is in learning the frequent ones. And as you increase the amount that you know, the benefit declines sharply. For instance, if you know the most common 500 characters, you can understand about 75% of the characters encountered in normal writing. If you triple your knowledge and learn the 1500 most common, you’ll understand 94% of the characters you see. A big benefit. But now, if you double your knowledge again, the increase of understanding is only from 94 to 99%. And since there are more than 10,000 characters, this process continues. The takeaway here is that every skill has diminishing returns. Being able to have conversations, express your needs, and conduct your affairs in Chinese takes only about 20% of the time it would take to develop the skill to the level of a skilled speaker or writer. In other words, for many skills, you get 80% of the benefit in the first 20% of study time. How does this apply to guitar? Guitar is not a single skill. Playing the guitar is best described as a combination of many possible skills—some of which are required for to play anything (fundamentals) and others which are more optional. Knowledge of fretboard patterns: scales, chords, arpeggios. Technique and command of the guitar. Ability to accurately reproduce rhythms. Ability to read tablature and notation. Ability to recognize and reproduce musical intervals and chords. Ability to recognize and reproduce rhythms. Understanding of how music works. So for each of these skills, if you haven’t achieved the “basic 80%” level of competence that happens before hitting the point of diminishing returns, you can get a lot more benefit from your practice time by focusing on your weaknesses. Once you have reached that basic competency, it becomes more important to prioritize the strengths that you want to highlight—keeping in mind that it’s hard to go wrong from investing in the fundamentals. Your guitar playing can always be improved by honing your fretboard knowledge, technique, and rhythm. You should follow the lead of your strengths when they offer a competitive or tactical advantage which improves your position. It’s a great idea to follow your strengths in the ’big picture’, but hone your weaknesses when you’re focused on improving a narrow set of skills. For instance, if you’re trying to decide whether to look for solo gigs or band gigs, and you feel you’re stronger as a solo guitar player, then trying to take on the work to “improve your weakness” will burden you and place you in a weaker position, resulting in fewer gigs. But using your strength in solo guitar may give you a chance to leap ahead. So cultivating strengths allow you to differentiate yourself and compete. But in terms of developing guitar skills it’s likely shoring up your weaknesses that offers the biggest benefit. When you’re trying to develop a specific skill, following your strengths is a recipe for disappointment. That’s because your total skill level relies on all areas working at once. In the case of playing guitar, your ear, knowledge of the fretboard, technique, memory and even mood all work together to produce the result of your playing. And if you are lacking in any one of those areas, this shortcoming will drag down your guitar playing as a whole. If you want to master guitar, you should find your weaknesses and eliminate them. You should get into the habit of beginning each practice session on the very edge of your capabilities, and slowly pushing your way outwards. If you go to gym and lift the same weight every week, do you expect your muscles to grow or to stay about the same? If you don’t challenge yourself to improve your guitar playing, your playing will only make minimal improvements. Challenging yourself actually gets harder as time passes. That’s because as you advance, you learn how to do more and more. Now you have plenty of things to play in your “comfort zone”, and can spend a whole hour practicing the stuff you’re already good at. And just like the student learning Chinese in the above example, you’ve got to invest a substantial amount of time to make improvements now. When you began, your guitar playing might go up a level in a few months, and go up another level in a year. But if you’ve been playing a few years now, it can take years of work to get your guitar playing to a new level. When it is time to seize strategic advantage, ignore your weaknesses and exploit your strengths. When it is time to master, refine and improve a skill, forget about your strengths and hone in on the weaknesses that are holding you back.